VIXY offers a centralized video platform for all your enterprise video needs. Upload, edit, manage, publish, distribute and analyze your media - all in one intuitive interface. Launch your own corporate, sport, e-Learning or media channel. VIXY provides a whitelabel video channel to give your users easy access to your exclusive video content. VIXY offers the fastest and most customizable HTML5 video player on the market. Boost conversion and convert website visitors into shoppers with interactive video. Interested in VIXY? 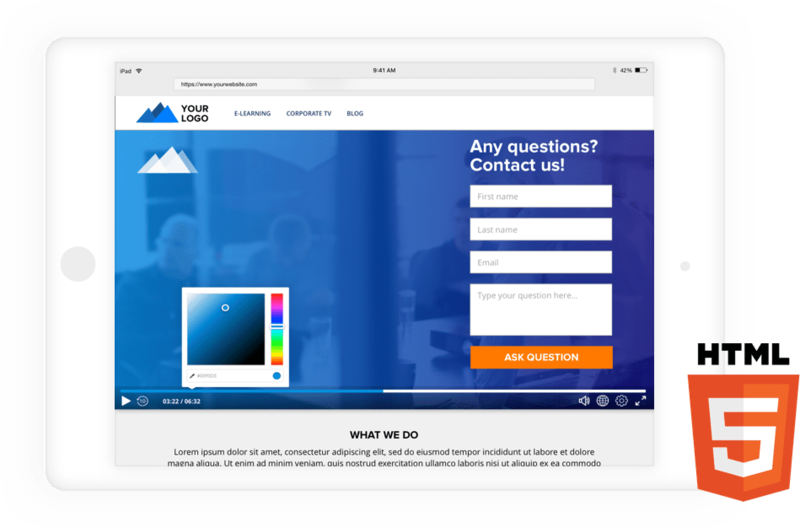 Contact one of our video experts or request a free demo via the contact form on the right. We do our best to respond within 24 hours.